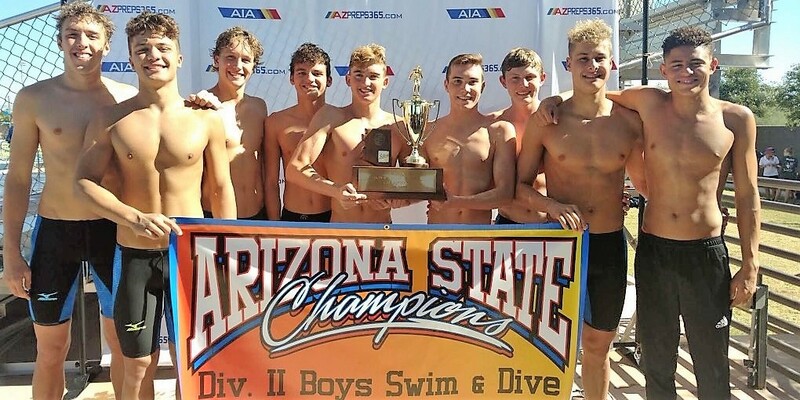 The Canyon del Oro boys captured the first state swim and dive championship in program history on Saturday, outscoring Salpointe 246.5 to 219 in the process. Catalina Foothills standout Scott Pekarske brought home two gold medals in the 200 and 500 Freestyle to give the senior his fifth top finish in his career. Only four other swimmers from Catalina Foothills have recorded more individual championships since 2001: Herbie Behm (7), Adrian Kirkpatrick (7), Brooks Fail (6) and TJ Lundstrom (6). Pekarske is tied for 12th in all of Southern Arizona in that time frame. Ironwood Ridge senior Hannah Houlton won the 50 and 100 Free to give her four career individual championships. Houlton became the top swimmer in Nighthawk history, passing former standout Sarah Borendame who finished her career at the school with two individual gold medals. Salpointe’s Quinn teller won the 50 Free to become the 20th Lancer to win an individual championship and Rincon/University standout Drake Barberii took the 100 Butterfly championship to give the senior his second career title. Barberii is the 12th Ranger to win an individual championship. Cienega diver Haley Johnson won her gold medal and the sophomore became the first Bobcat to win and individual championship in school history. The D-II state meet was held at the Skyline Aquatic Center in Mesa. 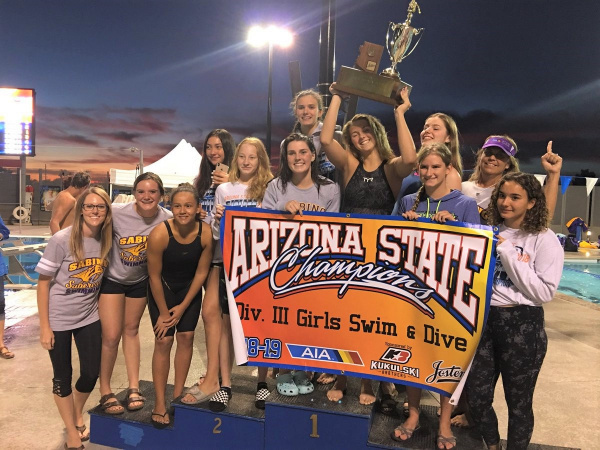 The Sabino girls team brought home its third straight team championship Saturday at the Dady Aquatic Center in Paradise Valley. Head coach Melanie Paulsen is only the second coach from Southern Arizona to win three straight championships. Former Catalina Foothills head coach Nicole Sayers-Penkalski led the Falcons to six straight from 2000 to 2005. 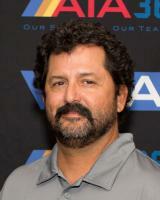 Paulsen also tied former Catalina Foothills coach RJ Lundstrom with three championships from Southern Arizona. Only Sayers-Penkalski has had more on the girl’s side. Sabino standout Skylar Dikeman won the 50 Freestyle which gave the junior two individual championships in her career. Evan Apuron became the first swimmer from San Manuel to win an individual championship when the sophomore took the 100 Butterfly. The Gregory School freshman Avery Spade won the girls 100 Butterfly to become the fourth swimmer from the school to win a championship and Sabino senior Grant Nations picked up his second career gold medal by taking the 100 Breaststroke.